Using our websites innovative home search tool will provide you with all the newest information regarding Murphy homes for sale. Murphy is a small, quality community with a history that goes back to the early 1900s. 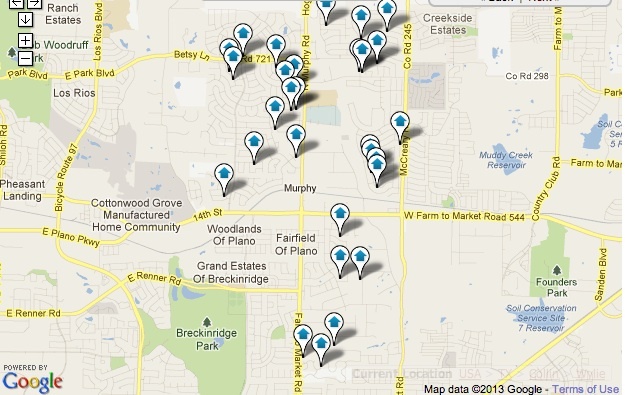 Murphy is located in southeastern Collin County, on the outer fringe of the Dallas/Fort Worth Metroplex. Situated midway between Plano and Wylie on FM 544, Murphy is two miles south of the famous South Fork Ranch. It shares borders with Plano, Richardson, Wylie, Sachse, and Parker. It is approximately 20 miles from downtown Dallas and about 30 miles from D/FW Airport. A portion of Murphy is served by the Plano Independent School District (PISD), while another portion is served by the Wylie Independent School District (WISD). You'll love Murphy's small-town feel while still remaining close to the Dallas/Fort Worth Metroplex. Contact an experienced Murphy REALTOR today at The Todd Tramonte Home Selling Team to begin your search for a great Murphy home. Thinking about Relocating/Moving to Murphy, TX? Listing courtesy of Collin County Land Company.